International Bibliography of Art (IBA) comprises 28,000 records created by the Getty Research Institute covering 2008-09, with new records created by ProQuest's in-house editorial teams going forward. Bibliographic records cover scholarship on art and art history. The database will grow by 18,000 records per year, ensuring unbroken coverage of journals that were indexed in BHA and IBA prior to 2010. 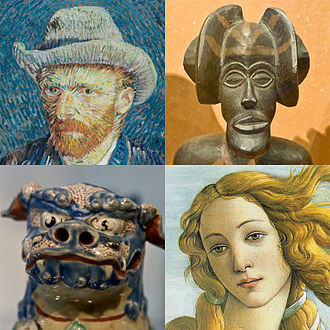 The initial data set created by the Getty Research Institute in 2008-2009 covers scholarship up to 2009, including retrospective records for material published in previous years, and in some cases the new ProQuest indexing will also cover retrospective years in order to fill gaps in coverage. Visual arts: painting, sculpture, drawing, decorative and applied arts, museum studies and conservation, archaeology, folk art and material culture, classical studies, antiques, architectural history. At least 500 core journals are included, with an emphasis on specialist and rare titles that are not covered by other indexes, plus detailed coverage of monographs, essay collections, conference proceedings and exhibition catalogues. International in coverage, around 60% of the content is non-English language, principally German, French, Italian and Spanish. Contributors include indexers based at the Bibliotheca Hertziana (Rome), Stockholm University and the libraries of the National Galleries of Canada and Finland. To view the latest title list and publication coverage, please visit our Title List for all products. BHA has indexing from 1973 to September 2008, covering publications up to 2007 and can be searched here. IBA starts with the December 2008 update. ProQuest has an exclusive license for 2008-2009 data, and has been adding approximately 18,000 new records per year since 2010.